1961, Philadelphia. After having to betray his brother to save his own life, hitman Blake Saunders flees the Mob and seeks refuge on the other side of the world. Though the ghosts of the past still haunt him, the tiny Australian town of Coral Shoals is paradise. Blake surfs, plays guitar and runs his own bar, the Surf Shack. But then the body of a young woman is found at a local motel , and evidence links her to the Surf Shack. It soon becomes clear to Blake - who knows a thing or two about murder - that the only way for him to protect paradise is to find the killer. Kenny Gabriel is three years away from turning sixty, has forty-three quid in the bank and is occasionally employed to find people who would rather not be found. Broke, clientless and depressed, he knows things can't get much worse. 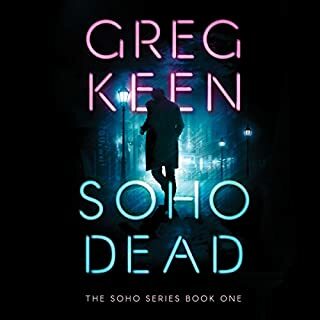 Then he's summoned to the office of London media magnate Frank Parr, whose daughter, Harry, is missing - and there's ten grand on the table to get her back. But he and Frank have a history he'd rather not revisit. The bones turn out to be two thousand years old, and DCI Harry Nelson, who called on Ruth for help, is disappointed. He'd hoped they would be the bones of a child called Lucy who's been missing for ten years; he's been getting letters about her ever since. Then a second girl goes missing and Nelson receives more letters. Soon it becomes clear that Ruth is in grave danger from a killer who knows that her expert knowledge is being used to help the police with their enquiries. 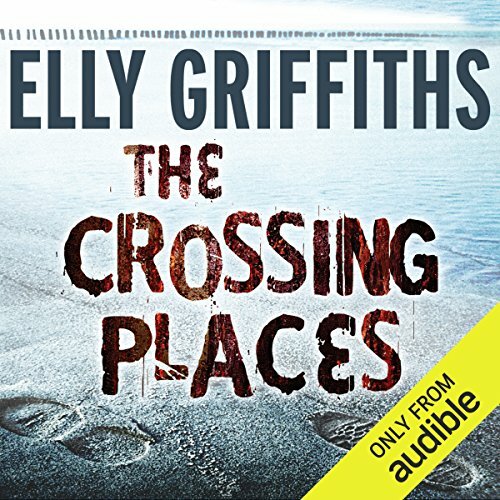 ©2009 Elly Griffiths (P)2014 Audible, Inc. 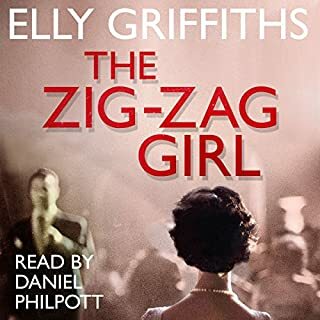 I hadn't heard of Elly Griffiths but Im glad I have now. Ive listened to all her stories with Ruth the Archaeologist. Id recommend them to anyone who enjoys history and a respect of difference in how people manage their lives. With a healthy dollop of mystery and who dun nit makes these books a treat. Start with this one and follow the development of the characters. Enjoyed this book so much that I have immediately ordered the second in the series. Wonderful characters, especially Ruth Galloway, who is definitely not your typical 'hero'. Narration was very good. If this were a paperback you would call it a great summer read. Great setting, but the story was one dimensional with a very obvious solution. Not many fleshed out characters either. Quite disappointing. I do enjoy a story which is also an education and this is one of them. The story and lead characters are not unrealistic -the pace is very good. 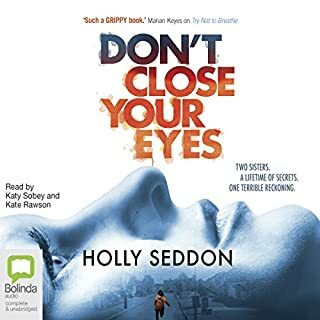 I listened to this book on a murderous trek in Auckland traffic, from work and back, and found myself wanting to be in my car just to listen to the story.... and that's a first, let me tell you! I love how the lead character has been portrayed ...shaped ever so well, from the parents, to the weight, l feel like throwing the author an Italian restaurant kiss with perfecto attached. Told in the present tense! This is a good mystery: suspensful, evocative and well written. The heroine Ruth Galloway is an intelligent, professional unfussy woman whose lack of care about her appearance ( I do not think makeup is mentioned ONCE in the story) is refreshing to this reader. However, the story is told in the presnt tense and this is a little off putting and takes some it takes time to adjust. Jane McDowell, the narrator, has really improved over her performance in The Lord Peter Wimsey mysteries. Delighted to have found Elly Griffiths' Ruth Galloway novels. Great characters, atmospheric setting, archaeology, crime fiction rocks! Am devouring all Ruth's subsequent adventures. This is an excellent story. I couldn’t stop listening it was so interesting in the setting and the drama. This story or the narration didn't get me involved at all. I found it slow. 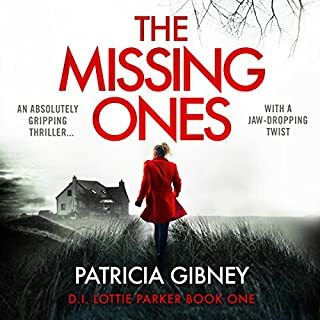 I am hooked on this series in which DCI Nelson and Dr Ruth Galloway, an academic forensic archeologist, collaborate in solving mysteries and crimes when bones are at the core of the evidence. 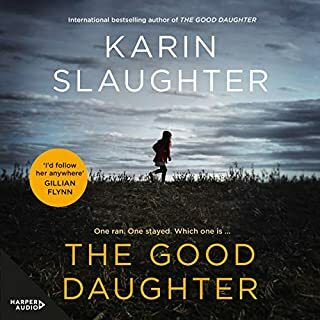 I bought this first book as a special deal on Audible and so enjoyed it that I have now purchased and listened to the first ten Dr Ruth Galloway novels. I totally empathise with Ruth, her choice to live in a remote cottage on the Norfolk salt marshes, and her intellectual curiosity. As I listened to the audio I immersed myself in images of the Norfolk coast on Google Earth. Ruth is pragmatic, intelligent, with a wry sense of humour and, although now 40 years, childless and having gained weight, she enjoys her academic life. 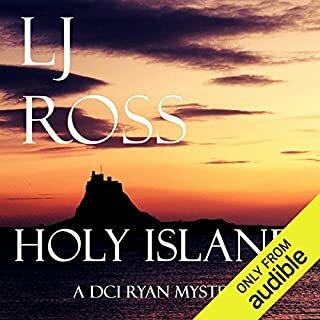 The characters in this book are truly English, and the audio accents are great with the exception of the Norwegian, Eric, who was Ruth's mentor 10 years earlier. 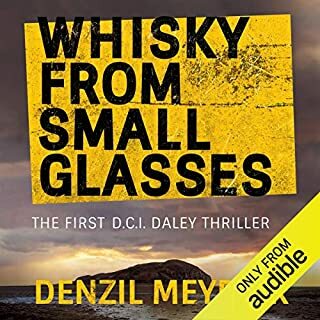 Such a shame that the narrator, Jane McDowell, failed to produce a genuine nordic accent especially as the other voices gave life to the characters: Cathbad, Shona, DCI Nelson. In summary, a great mystery, evocative, atmospheric with a complex convoluted plot. Even if you guess who is the perpetrator, it won't detract from the suspense. I urge you to listen and become invested in the characters who grow and develop throughout the series. Great start to the series. Interesting and mysterious storyline. I enjoyed it very much. The narration is incredible. The actress did an amazing job at distinguishing the different voices of the characters, she really brought the story to life. I will continue on with the series. This engaging story is well written and totally captures the hauntingly lonely sea side life the main character has chosen for herself. She is a forensic archeologist working in the field, lecture hall and with the police as a solver of crime. Her work focuses on working out mysteries from the past and present. The story is heavy on nature, mythology, archeology and spookiness in general. I really enjoyed the narration and way the book unfolded. It held my interest-- as any good page turner should. 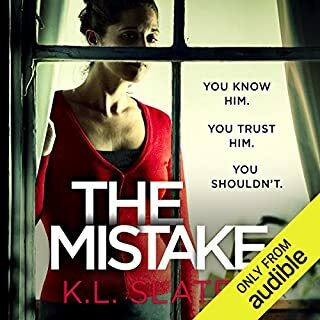 As the first book in a series it bodes well for readers who enjoy crime stories with a dash of odd characters and brooding nature thrown in. But be aware--it is creepy! I've never been a fan of mysteries, but I loves the author's use of details to provide me with a great picture of the characters and places. LOVED IT. Am now reading the Janus Stone and enjoying it just as much. No, that's not a Norwegian accent! If you could sum up The Crossing Places in three words, what would they be? What didn’t you like about Jane McDowell’s performance? If you choose to read with an accent, you must master that accent! The Norwegians sounded like a mix between Russians and Indians. That ruined it quite a bit for me. There is much emphasis on the main charachter's weight. It is stated that she is fat, has problems moving about and can't find ordinary clothes. But she's not even 80 kiloes. That's a bit hysterical, isn't it? The book holds together pretty well and provides a few heart pounding moments. Suspects abound and the author keeps you somewhat guessing. But the heroine does whine a bit, especially about being fat. Some of the action seems very contrived and the hopeful ending is completely unbelievable. To be believable, the story should have taken place over a few months instead of over 10 years. The worst part is the narrator's attempt at a male Norwegian accent. Because of these problems, I hesitate to recommend the book. Would you consider the audio edition of The Crossing Places to be better than the print version? Yes. Narrator Jane McDowell was pitch perfect in capturing Ruth's voice. Story a bit slow paced at first, but was an interesting view into the life of independent archaeology prof, Ruth Galloway. Is she contented or lonely? I still can't decide. Different worlds to explore here: archaeology and the desolate salt marshs Ruth calls home. I really enjoyed the plot and found the characters believable. The backdrop of the Norfolk salt marshes created a wonderful damp wind blown atmosphere and in my mind's eye I could see it's beauty and feel it. The narration by Jane McDowell was just right for me. An excellent mystery. Archaeology and crime detection, this book tries to comnine the best of both and does the job well enough to please this reader. The main characters are fun, I would have liked to have more archaeology spelled but obe can't have everything. This is the first time I have listened to this author and this reader. It was an engrossing story, a wonderful sense of place, and great characters. And with one exception, the narrator was as good as the story. That exception was the dreadful Scandinavian accent that was totally unnecessary for the character: the descriptions of him were more than sufficient for you to see him as the Viking hippy character he was. But even with that jarring note, I loved this book. The story was good, the narration fair, overall I enjoyed the listen. Not action packed or full of witty dialog, just a decent story line with relatable characters and good imagary. Would you try another book from Elly Griffiths and/or Jane McDowell? The book opened with what I'd call an info dump as Ruth was feeling sorry for herself. I don't like whining; it might have been more acceptable if I'd met Ruth and knew a bit more about her before the info dump hit. As it was I just wanted to scream at my speaker, "Stop whining! "As for Harry Nelson, his character began as a trope -- the dumb cop. I actually felt more sympathy for this character because he was being stereotyped by the main character and the other characters in the book. Which character – as performed by Jane McDowell – was your favorite? I though Jane McDowell did a good job of handling all the characters, even the men. It's difficult for men to speak women's roles and women to speak men's roles without sounding slightly ridiculous, but I think she did very well and managed to convey different voices without overacting. She was also consistent with delivery of the different character's voices.My only complaint is that in some places the volume changed dramatically -- one scene were Nelson shouts jarred so much I had to quickly turn down the volume on my speaker. That is something that should have been smoothed out by the sound engineer, but otherwise the sound was good. Could you see The Crossing Places being made into a movie or a TV series? Who should the stars be? This could possibly be a movie, as it has all the ingredients for a good TV mystery. There are a lot of things in the book that would make wonderful visuals, such as the Druid and the henge and the saltmarsh landscape. I don't know who I'd suggest for the roles. My pet peeve was that I felt the author was speaking down to the reader too much by overexplaining basic archaeological terms such as Iron Age. Nelson the cop is used as the dummy so Ruth can explain all about the archaeology, thus setting the stage for another info dump. Now, I wouldn't necessarily expect Nelson to know about some of the finer burial practices of Iron Age peoples, which is after all Ruth's purview, but I expect most readers will have heard about the Iron Age and Stone Age and have an idea of which came first. Nelson, sadly, didn't have a clue. It's not that these things shouldn't have been explained for readers who aren't into archaeology, but I think it could have been handled a little better without making the other characters into dummies. Another peeve: Late in the book Ruth in in a spot to wonder if water conducts electricity. For me this takes away from her scientific background and makes me wonder about the holes in her education. 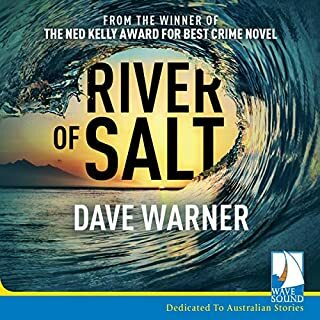 Now if she had wondered whether salt water was a better conductor than fresh water, I think that would have showed both her worry and her scientific thinking at work.Spoiler Alert: the ending wasn't exactly predictable, but it was somewhat maudlin. I am a woman, yes, but I don't connect with stories that just want me to know how wonderful motherhood is and paint childless women as weirdos until they discover the "religion" of mommyhood. This will probably keep me from buying the next book unless someone convinces me that the characters grow in complexity in the next volume. I want to see Ruth solve another mystery, not just hear about her female issues. This is the first of Elly Griffiths' Ruth Galloway novels I've read, and I'm very, very impressed! As a fan of Phil Rickman, and other pagan/paranormal storytellers, I loved the unusual location of the events - which is beautifully evoked. The plot is complex, but makes sense, and Ruth is a fully rounded, 'real' character - as is DCI Nelson. Although you might guess what happened, and who did it about half way through (the sudden arrival of chapters told from a different point of view is a sort of clue! ), it's well worth sticking with the journey. There are already two more Ruth books (The Janus Stone - available from Audible - and The House at Sea's End - hopefully soon available! ), and I look forward to reading/listening to both of them - and the others which I'm sure will come in the future! 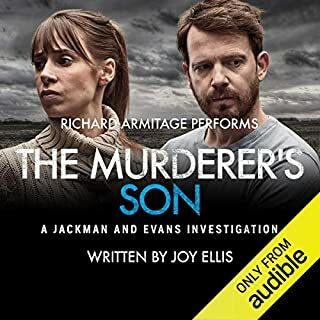 The reading is well done - some good use of regional accents to deliniate the characters, and perfectly paced- recommended! I found the main character very easy to identify with, and was immersed in the story right from the beginning. All the other characters were colourful and interesting as well, and the unraveling of the mystery was paced so that I didn't have a chance to get bored along the way. 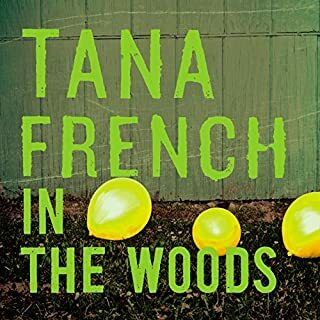 The skillful narration brought all the places, characters and events very vividly before my mind's eye, and I thoroughly enjoyed the whole experience. I can't quite make up my mind whether I have read this book a while ago (perhaps from the library as it's certainly not on my bookshelves) - the story did just seem a tad familiar. That would certainly explain why I spotted the bad guy quite early on. 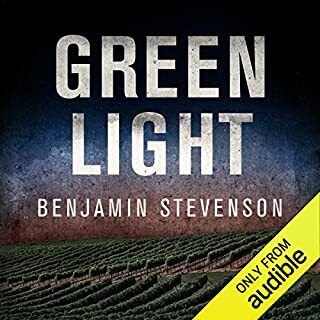 Having said that, I thoroughly enjoyed this listen, it was exceptionally well read and I very much liked the Nelson and Ruth characters and relationship - something just a little bit different. Indeed I would agree with other reviewers that all of the characters were sound - as an aging hippy myself (albeit not an academically knowledgeable one) Eric and the guy with the purple cape were spot on. I believe this is the first in a series and I'm just going to look for the next one. I would recommend this to a friend, because it's a refreshing change from your standard 'detective inspector' or 'PI' angle. What was one of the most memorable moments of The Crossing Places? I don't do spoilers...silly question! What about Jane McDowell’s performance did you like? She's not top league, but is a good steady female reader, without any annoying flaws or impediments. She's even a dab hand at dry wit! Actually, there were some emotional moments...but, again, no spoilers! I wish Audible would dispense with this silly question and answers process for writing reviews. Make it an option, so that if we want to write freely, we can. I personally enjoy history/religious/pagan based books I am a great fan of Phil Rickman's Merrily books. Being a science teacher I enjoyed the forensic bits. The forensic archeologist Ruth is a well rounded character who you quickly get to like. 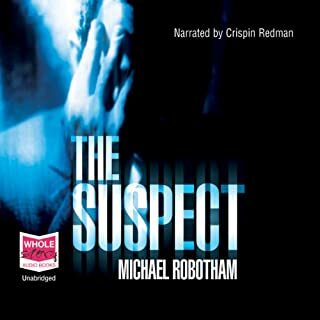 The story moves quickly along and although you guess whodonit about half way along it is enjoyable to see how it pans out and who becomes a suspect and the various twists and turns. 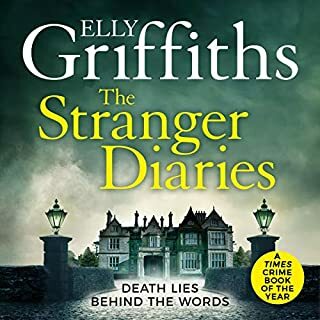 Elly Griffiths is a new author for me and on the strength of this novel will listen to more of her series featuring archeologist, Ruth Galloway. 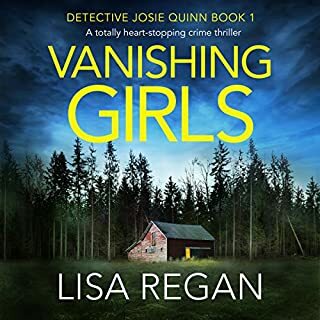 The characters are well-drawn, the East Anglian setting evocative and, though a detective novel, it is much more interesting as one learns a lot about archeology and the dating of bones. 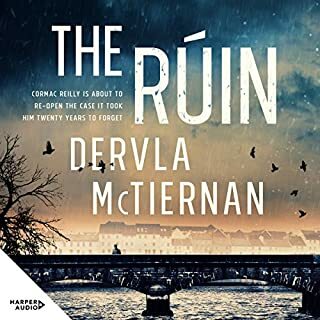 Very well written and the story unfolds and draws you in - lost most of yesterday, listening to this book, and now firmly on to the second book in the series. 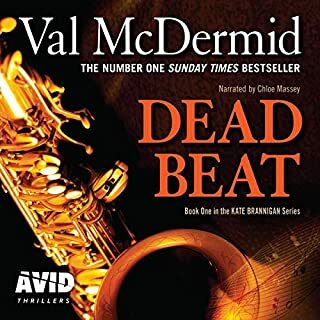 Both Detective Chief Inspector Harry Nelson and forensic archaeologist Dr Ruth Galloway come across as being real people - almost the UK equivalent to Booth & Brennan, but without the gadgets and squints, and not wanting to spoil the storyline, an bot going to go into details. This is the first time I have come across this author and her forensic archeologist. It was a gripping story of people and the special landscape of the salt marsh near Kings Lynn. Brilliantly read too by Jane McDowell. I shall definitely look for more stories in this series. This was a real punt: an author I had not heard of, and a review which put me off a little. It was certainly a worthwhile gamble in the end. Griffiths paints a vivid picture of the Norfolk coast and populates it with likeable andinteresting characters. I am looking forward to the next to books, both already on my wishlist. If you like your crime thrillers with well-written and well-researched settings then give this a whirl. The story was good but I found the narrative very flat and slow. On numerous occasions I had to jump back a good 15 minutes or more because my mind had drifted off and I'd realised the story was at a part that i had no recollection of the the journey getting there. You know when you drive to a place so often that once you're there you think....wow I just don't recall any of that journey! Well that's what happened on many an occasion to me during this book. I really don't think it's the authors fault though. I shall give the author another go though but with a different narrator. The narrator does have a nice voice but just not for story telling. I did persevere to the end but it was a hard slog and I couldn't wait for it to finish.